A super quick home organisation project using Command Damage-Free Hanging General & Clear Hooks. I’ve been doing a little organising in the cupboards – the one cupboard which does seem to get messy the quickest is under the sink where I store cleaning supplies. I think probably once I’ve cleaned I tend to just open the cupboard and fling the products in as I’m so sick of using them! However, I’ve been asked to try out Command Damage-Free hanging hooks. The damage-free hanging range is enormous! There’s a solution for everything you could want to hang up in your home! And I must admit I might have become a little bit of an addict… My cleaning store cupboard is now super tidy and organised and will definitely be staying that way! You see, the hooks are just so easy to stick up! – wipe surface with alcohol wipe and allow to dry. – tear off strip – apply to back of hook. – tear off other strip – apply to surface. – hold hook in place for 30-40 seconds. – leave well alone for an hour. Just choose the hook by the weight of the product you wish it to hold – the packs are all labelled up clearly with weight limitations. No drilling, no nails, no faff. I think the cleaning store cupboard is just going to be the start of my new found hook addiction! Since I hooked up with hooks I’ve been over to the Command Website which is just filled with brilliant ideas for ways to organise and decorate using the adhesive hooks and the picture hanging strips. 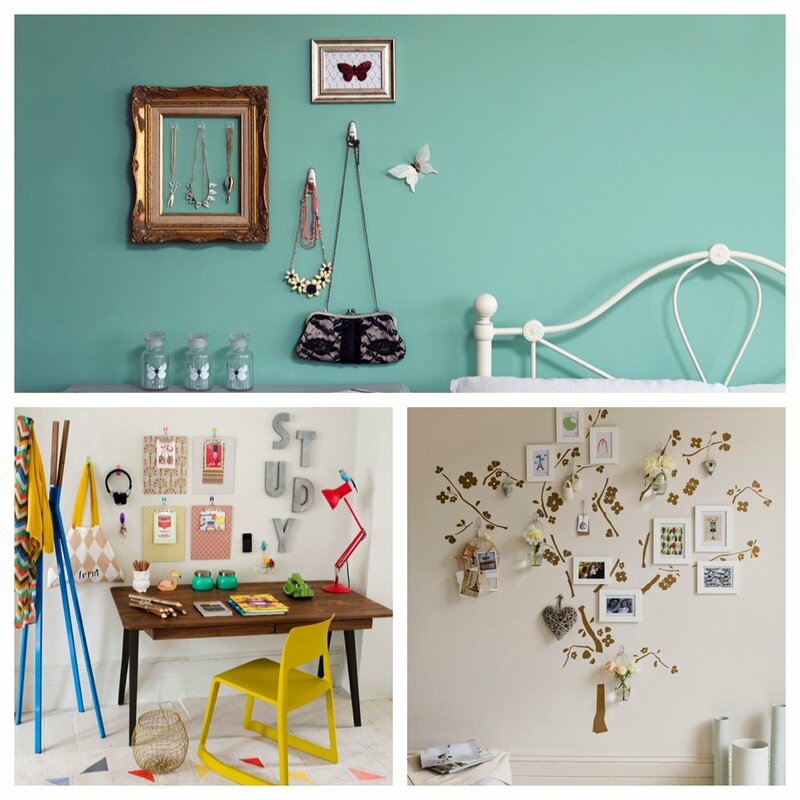 Yes, that’s right – you can decorate with hooks too because they come in all sorts of lovely decorative styles. For future projects I’m going to be needing to involve a lot more hooks! A lovely quick homekeeping project. I’m already brimming with ideas of ways to use the hooks and strips in the makeover of my daughters bedroom – she needs a room with a more grown up look – these products are going to be perfect in helping me achieve not only a great style but functional organisation – especially when I create her a little study area ready for going off to high school. Yes! I’ve become a Command Hook & Strips addict! Not only super easy to put up – I also tested just how easy they are to take down and if they left any marks or residue on the walls. For the removal you do need to be sure you follow the instructions properly – the hooks are removed by pulling the strips down – never towards you. The hook came off really easily and left no marks. You might also like our easy housework routine or our kitchen counter caddy project. Don’t forget to come back for more UK family home ideas! Disclaimer: the hooks used in this project were sent to me free of charge from Command – my new addiction to hooks is entirely my own.